Although, what we’re going to write about is USA centric, we think there’s enough cross overs for it to be of interest to you our followers. Between 2009-2014 claims within this industry had exceeded the premiums that were paid in and they needed to radically look at what could be done before the industry found itself with no-one able to insure them! More than 50% of the claims were as a result of collisions and many of these, as people came into platforms. Everyone involved (insurers, operators, builders, inspectors, trainers etc) came together and looked at redesigning platforms which had such a dramatic reduction in claims that this type of claim rarely happens now. A great example of an industry coming together to effect positive change. The seminar went on to look at the type of injuries sustained by employees and customers that resulted in a claim and which we reckon wouldn’t be too dissimilar in the UK. Lift in teams over 50lbs. I bet if we asked you to guess you’d probably get some of them listed here but we don’t reckon you’d have guess the top one – we certainly didn’t. In first place were injuries from ATVs/Vehicles which accounted for 51% of all claims, followed by weather related (property damage) at 18%, then equipment malfunction/braking systems at 8% and communication error at 6%. What is even more interesting though is the % in relation to the cost of claims. So although equipment and communication errors are quite low in terms of the number of claims the % cost for these 2 accounts for a whopping 48% of the total value of all claims. Annual training and monitoring programme for staff in terms of work vehicles etc. So why share this with you all? It’s not only an opportunity to look at what’s happening elsewhere in the world but also to take the time to think about our own operations and see if there are lessons that can be learnt and applied. 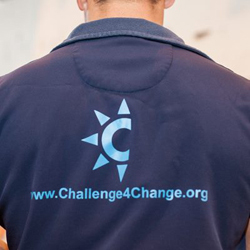 Vertex have been proud supporters of Challenge 4 Change in Manchester for many years and if you’ve never heard of them then do take a look at what they do – they are pretty amazing! Their vision is to provide learning and development in an innovative way that engages the person, holds their interest and motivates them to learn about themselves and others whilst giving them a memorable experience. They aim to help individuals by enabling them to overcome barriers to their success and to build stronger communities by forging links between the diverse groups that make up each community. They help people build their confidence, and develop the tools and skills to help themselves through fun activities and importantly help people realise that they hold the key to their success – no one else! One of the programmes they are well known for is “The Team-mates not Inmates Programme” which helps young people make the ‘right’ choices so they do not serve a custodial sentence. Curative – a ‘stronger’ version for those who are older, or who have already participated in behaviour which may potentially lead to a custodial sentence. Because of their extensive experience of working with so many diverse groups they are able to tailor the programme to meet the needs and objectives of each individual group. 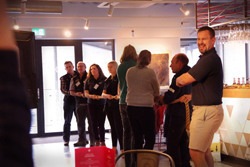 Team – This part uses their ground level teambuilding challenges and explores the positives of working in a team, shows what can be achieved when working as a team and also the fun that can be had when working as part of a team. Consequences – here they use a lot of role play and their specially built jail and prison cells. This is where they see the biggest change in the participants as honest and open discussions take place with the group and the ex-prison officers, ex-prisoners who they utilise on this programme. The role play is particularly powerful at giving the young people an experience of what a first day in prison could be like and of the potential impact on those closest to them. The Consequences phase is intense and extremely emotionally draining for the staff and participants. 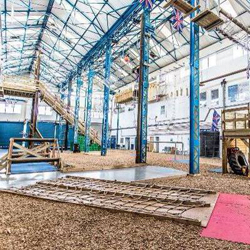 Courage – The final part makes use of their indoor aerial activities. It explores what courage is and also what the brave thing to do is, in a number of circumstances e.g. if three of your mates have stolen a car and ask you to get it in is the brave thing to get in or to say no? Again there is a lot of discussion here, which has been made much easier by the stages the group have already undertaken. Challenge 4 Change are looking for partners as supporters of their 200 x 500 initiative. This is their quest to get 200 organisations to raise a minimum of £500 per year for Challenge 4 Change to meet its charitable aims. 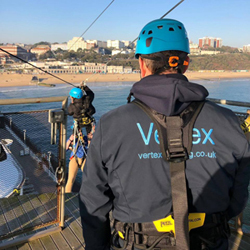 Friday February 15th saw us at RockReef UK on Bournemouth Pier undertaking an audit visit which included some trolley transfer rescue training on their popular dual zip wire which goes from the end of the Pier to the beach with some pretty stunning views of Purbeck on the way! Audits are one of a number of ways that Vertex can support your operation. They can cover all aspects of your off-ground activities and provide a great "health-check" of your operation. A HUGE thank you to everyone that came to the Industry Day at Zip World. The team from Zip World looked after us all so well and the venue overlooking Velocity was perfect. To all the trade stands including EDELRID, Adventure Climb Rescue - ACR, DMM Climbing, Petzl and TahDah and finally to everyone that came - it doesn't work unless you’re there! we thought we’d take a look at some of the myths that have creeped into our industry over the years and do a little myth busting! Most of what you will read are questions and statements that we’ve either been asked about or have heard on our travels to customer sites and industry related events. 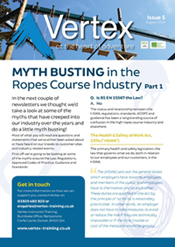 Follow the link for the full article Issue 5 (Aug 2018): Myth Busting in the Ropes Course Industry - Part 2. Those of you that attended the ERCA European Ropes Course Association Conference in January this year may well remember the key note speaker Professor Tim Marsh. Tim is a global HSW expert, author and now Chair, Safer Highways Programme. Tim is considered a global authority on the subject of behavioural safety, safety leadership and organisational culture. He has worked with more than 400 major organisations around the world including the European Space Agency, the BBC, BP and Shell and written many books. He's now moving his expertise into the area of mental health and is passionate about influencing society to consider and create behaviours and cultures that suport better mental health for all. Recently we talked about the extraordinarly high number of safety critical functions an instructor has to carry out each time they are involved in a session. Having the right safety culture in place will enable staff to flourish and support their mental well-being. 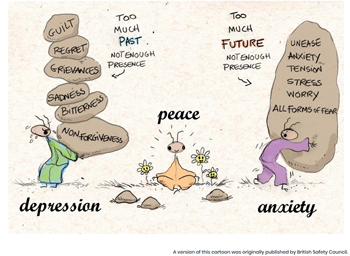 The link below is a recent article written by Tim for Safety & Health Practitioner and well worth a read A Simple Strategy for Mental Health. Yep, you had to lift us up off the floor as well! This is why when we deliver training we think it’s important to spend time exploring the behaviours and attitudes of what makes a good instructor and not just teaching them to tie knots and carry out a set of tasks in a particular way or order –teaching someone the technical skills they need to carry out their job is the easiest part of training an instructor. Exploring with an instructor that the way they behave and the attitudes they have can have a profound impact on not only their work life but also the customer’s experience takes time and for the instructor a healthy amount of self-reflection. It’s also critical that once those instructors have both the technical skills and emotional intelligence needed to carry out their jobs that they are supported in their workplace. Having a strong safety culture within your organisation and operation is imperative in supporting your instructors to carry out these safety critical functions every single day. When we talk about a safety culture it’s not just whether your employees comply with the rules and either act safely or unsafely – it’s much more than this. It’s only through experiencing high quality training from role models combined with effective coaching and mentoring that these greater whole person attributes can be developed and which ensure that the knowledge and skills learnt in training can be carried into the future. This is why we believe training the IQ alongside the EQ produces a better quality instructor and will allow them to thrive in their workplace. 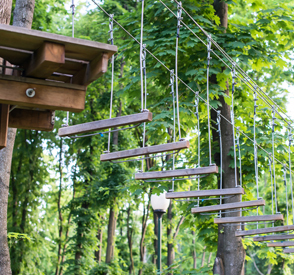 Have you ever been watching a participant on a ropes course and thought “they’re not really scared” or “they could do more” or “I can see they can go further, or try harder” or “I don’t believe they really want to come down”? Have you ever been the instructor to think these or similar thoughts and then act on them by convincing the participant that they should go higher up or pressured them into going that bit further because you believed you could tell that they can, in essence you are now choosing for them? We know we have! We may believe that by working over many years with young people and adults we can build up the ability to read other people’s emotional state and tell when they are being honest with us, honest with themselves and their peers. We may believe that through all of this vast experience we are able to work out the truth of their emotions and encourage them to make decisions that we feel would be better for them. We may be right some of the time, but are we? Watch the two TED talks below with Lisa Feldman first followed by Kang Lee, then think about your true ability to read other people’s emotions and to see through and find the truth. Then consider how this applies or relates to the ‘Challenge By Choice’ philosophy of Project Adventure. Goodness me where did the season go…..Christmas is almost upon us and some of you will be closing your courses for the winter months or cutting back on your opening hours and going off on your holidays and spending some well-deserved time with friends and families…..before it all starts again in 2018! Your list could include some of the following…. It seems to be our go to subject at the moment but these quiet months are a good time to go through your PPE store, giving it a good clean and sort out. You could check through your quarantined items seeing if some of them need to be discarded, fixed or put back into service. It’s a good time to bring all your PPE equipment together in one place give it a good clean (following the manufacturer’s instructions) and to carry out your PPE inspection so that you know at the start of the new season all your PPE is ready to go. It’s also a good time of year to place your orders for PPE so that when you open up you’re not having to wait for stock on back orders. You could also check with the manufacturers if there has been any changes and updates for the PPE equipment you have with your operation and finally this down time is an opportunity to do some research on new and alternative PPE which could be better for your customers and staff. Over the season you’ll have collated stacks of data on your customers and your staff and these quieter months are a good time to sit down and reflect on them. It may be that patterns will emerge that enable you to run your operation more effectively and efficiently. It could be simple things like looking at the times of day when you are at your busiest and quietest – these patterns could then help you plan your staffing better. Although social media and the internet can feel intrusive at times they are one of the ways for you to get to know how your customers rate you and your staff. Reading through comments on Facebook, Instagram, Twitter, Trip Advisor etc may make you realise that there are things that you could do differently or things that you’re doing well and that need to be celebrated with your staff. You may find that customers are mentioning the same thing but saying it in a 100 different ways – when you have time to focus on just this the themes will jump out at you. It might be that you need to put signs up in different places, give staff some additional training in particular areas, make changes to your booking system and website – these winter months are the time to get these jobs done. You could take the time to look through your staff monitoring sheets – are there specific things that keep emerging where some additional training either in-house or externally would help? Look at your accident, incident, near miss and rescue data – again you may see certain patterns emerge that highlight areas of your course that are incident “black-spots” and which with some discussions with your builder or inspector could easily be overcome. You may decide to look at your supervision levels at certain places on your course or you may need to tweak your safety brief. Bring your staff team together to ask them how they think the season went and whether they have any ideas on how things could be improved for the next season. They are the ones that are on your course day in and day out, regularly interacting with your customers, taking the phone calls and managing your operation for you. They probably have some of the best insight! Lots of operators use this time to carry out their periodical inspections and maintenance but because of this inspectors and builders are in hot demand so it’s worth getting them booked in early…..you don’t want your opening delayed next year just because you can’t get your course inspected and repaired! If you need to find a list of approved inspectors, then one of the places to find them is on the ERCA website here. For those of you that will need to get components checked by either your builder or the manufacturer it’s worth getting these done now rather than wait for the spring, you can always put the components into safe storage over the winter so they don’t get battered by the elements. You’ve probably noted down on your daily inspection sheets things that need fixing on your course and it’s worth sharing this info with the person that will be coming to carry out the repairs and maintenance. There will always be extra things that get picked up by your inspector and we’d always recommend you go round with them – it’s a great way to get up close and personal with your course and to see it through the eyes of an inspector. What we mean is that it’s always good to experience your course through the eyes of your customers. When it’s quiet or closed take a small number of your staff (including office based) and ask them to go through the whole process from start to finish – from booking on line, to arriving, parking, getting kitted up, going on the activities, trying out the café and facilities etc. Because you’re familiar with how things work it’s easy to dismiss things that actually need addressing and putting it down to customers being awkward or stupid! We guarantee if you take the time to do this then it will pay dividends and improve your facility and the customer experience. Another idea is to contact a cross section of your customers to get more detailed and in depth feedback from them – you could incentivise them by offering a discount to your facility for the next season. Often people’s immediate feedback is very much “in the moment” but as I’m sure all of us have done on your way home or a week or so later you’ll talk about your experience and be a bit more objective about the good and bad points. What already! One of the hardest things as an operator is keeping good staff when you’re not open all year round. How can you incentivise the good ones to come back to you year after year? We’ve come across some innovative ways including one operator who paid for some of his staff to become tree surgeons/aboriculturist. Over the winter not only do they carry out work on their own tree based courses but they also sell their services locally….this means this operator is able to keep his good staff on the books all year round and gain some valuable income over the winter months when they are closed – this not only helps the operator but also shows the staff they are valued. You could consider linking up with another employer who has a winter operation where staff work in both locations providing them with year round employment. Finally, walk around your facility as though it's the first time - is it looking fresh or tired? are signs faded by the sun? rope with green algae, platforms that could be cleaned and a million other things! Then once you’ve done all that crack up the beer and champagne and enjoy your holiday! 1. Do You or I Need PPE? All the information from the HSE talks about PPE being a last resort. What do the Regulations require? So the question we need to ask ourselves is can we remove the need for PPE through better design, supervision and other collective means such as fencing, stairs, nets etc. You may find that spending a bit more upfront on the design and thinking through the way you’ll supervise your customers saves you the need to purchase, train, issue, store and inspect items of PPE. To make sure the right type of PPE is chosen, consider the different protection needs for your customers and your staff, this may not be the PPE you originally thought. As an example when staff are going to height do not be fooled into thinking you now have to issue “Working at Height PPE”. A sports harness may be the better choice depending on the protection needs, the fit and time they are wearing the PPE. Another example is helmets, just because somebody is climbing up it does not mean they must be issued with a climbing helmet. 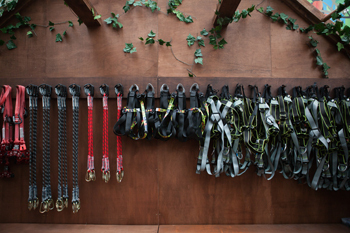 On auto-belay walls a climbing helmet may pose different and additional risks. Does the PPE protect the wearer from the risks and take account of the environmental conditions where the task is taking place? Does using PPE increase the overall level of risk or add new risks? Involve staff in selecting PPE. They will be the ones using it and may now more than you. Just because you’ve seen someone else or another operator using a certain type of PPE it might not the right one for you. Before you spend £1,000s on your PPE buy one of each size and let your staff try them out. Consider the fit on different sized people, consider the comfort to the wearer as this will affect how they fit and wear the PPE. An uncomfortable item of PPE is more likely to be fitted or adjusted poorly. How many different sizes will you need to fit across you age and size range of customers. How easy is it for your team to fit and remove the PPE from customers? Try some out first and you may change your mind and could even save a lot of money. First things first, these are called instructions not recommendations. These are really important as they contain information about lifetime, inspection and correct fitting and usage. In addition some manufacturers give more technical info on their websites and this can often expand your understanding the items you are using. If you would like to use an item of PPE that is neither instructed by the manufacturer nor designated as unsafe by them, then document how you want to use it and ask for their advice. Often this is how the manufacturer discovers more about their own designs and devices and have on occasions been added to their instructions. If you do use an item in a way that is not covered by the instructions or as a method on their own website then you will be held fully responsible for any outcomes as a result of that usage. Be very careful of other people showing you their clever tricks, or that social media post or YouTube clip! You’ll often find that one will say 10 years and another 5 for very similar equipment and products – again it could save you £1,000s if you check this kind of info out beforehand. We would advise you to always stick the manufacturers lifetimes, they are the designer, they understand their product and the materials used to construct it, they have tested it. Train them to how to regularly inspect and how look after equipment. This will often extend the lifetime of the equipment and identifies risks earlier than your regular periodical inspections. With a greater knowledge equipment will last longer and if it is unsafe, this will be identified sooner. The investment in training your staff team will often be balanced against the saving made in longer use of your PPE and equipment. Make sure you’re using the correct methods, cleaning agents and lubricants – if you know how to do this properly you will increase the lifespan of your equipment. A clean, dry and tidy store will make a huge difference to the lifetime of your PPE. Investing in good and spacious PPE stores is always worth it. Try and keep your PPE off the ground by making sure that you’ve got enough storage, that you provide places to hang it around your course when it is not needed, provide buckets or dry areas for ropes etc. 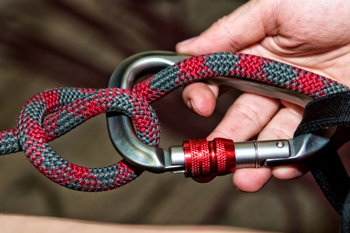 Keeping kit up off of wet, sandy, dirty ground and away from wandering feet will make a huge difference, particularly to ropes and anything they run through such as belay devices. 8. Can it be Repaired? Before you take the decision to ditch what looks like damaged kit check with the manufacturer if it can be repaired. A quick phone call is sometime all it takes to find out. Good quality PPE isn’t cheap and it will need replacing so make sure you’ve got a robust recording system in place and try to replace a little bit of kit each year so that you’re not hit with one massive bill every few years. Learn the life of your PPE at your venue, with your numbers and how you use it. 10. Who is Your Supplier(s) and Do They Know Enough to Advise you Correctly? The HSE recommend seeking advice from your specialist PPE supplier. When purchasing your PPE consider the advice from the supplier, do they know enough about your activities, your staff and your clients to be able to provide you with the correct advice and therefore the correct PPE for the job? What you may think is a cost saving by finding the best on-line deal can end up being expensive or worse a safety critical error. One harness is not the same as another and one karabiner is also not the same as another. As an example finding the cheapest harness that meets EN 361 (industrial fall arrest harness) will at fist glance save you thousands but they may not last long, may not fit well, could be uncomfortable and would you really want to fall in it? Plus if it is uncomfortable and does not fit well then how will you staff wear it and would you actually be meeting your legal duties as covered by the PPE regulations? 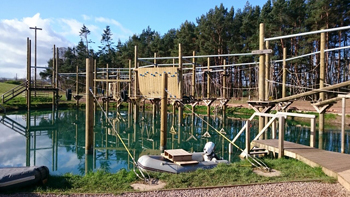 This is where specialists (not just PPE sellers) that really understand the ropes course industry and the available PPE options can make a huge difference to your choice and therefore your business. We thought it might be interesting for you to get to know our trainers a bit better – often you just see them in “training and assessing” mode – and to be honest they’ve got pretty interesting life stories to tell. 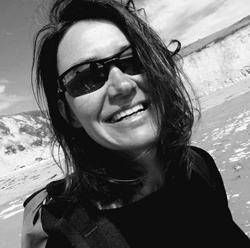 Kerry grew up in one of Dorset’s (and in fact the UK’s) most deprived wards and attended Kemp Welch Secondary School (now called St Aldhelm’s Academy) – she left school and home at 15 and worked in Bournemouth as a trainee chef. Realising that she really needed to get some qualifications under her belt she went back to college studying and passing with fairly good results. She spent her summers working in 3 different jobs and winters travelling all over Europe and North Africa and got involved in the outdoor industry quite by accident – helping out after a waitressing shift with an overnight camp with a small Purbeck company called Pioneer Spirit. Realising that she wanted to make a career out of working in the outdoors she started work at an outdoor company with sites in Dorset and Devon where she gained a number of basic outdoor qualifications and a heap of experience working with variety of groups and colleagues. She then moved on to a centre in north Wales where in her own words she worked and partied hard – we’ve all been there! 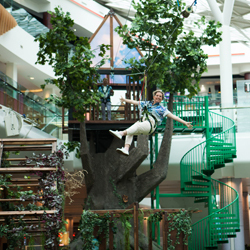 After a few years she moved to Hong Kong working for Outward Bound Hong Kong which she absolutely loved – not only the work but also the ability to go climbing in Thailand and mainland China. The travel bug hit hard and she found herself in New Zealand where she wild camped, cycled everywhere, climbed epic mountains and generally had a bloody brilliant time! Having fallen in love with Asia, she returned home to the UK for a short while to work for the Venture Trust with young offenders to earn money to continue travelling – setting off again she travelled from Beijing, across northern China, through Pakistan and into India – think Levison Wood - Walking the Himalaya’s and you won’t be far off the mark. 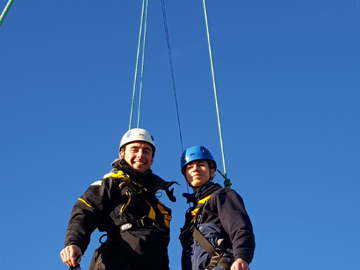 Arriving back in the UK she continued working as a freelance instructor, qualified as a ropes course inspector and wire ropes examiner working for both RCD and High Time and in the winter months climbing in France and Spain. In 2002 she had her first of two children and took a conscious choice to take time out of work and be a full time parent. She became a volunteer Rope Rescue Technician for Swanage Coastguard in 2013 and has helped in more than 150 rescues. She is responsible for all the rope rescue equipment, trains the Coastguard team and is in charge of competency too. As well as being a mud rescue technician, she is trained in water rescue, search and rescue. 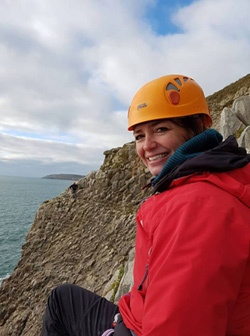 In 2014 she qualified as an ERCA European Ropes Course Association Trainer for both Traditional and Adventure Park and now works for Vertex as one of their trainers delivering ERCA Instructor and Rescuer courses. Training can vary from young instructors starting out at an outdoor centre, to senior officers at Britannia Royal Naval College, she’s even delivered training for Prince Harry's Charity Sentebale in Lesotho. 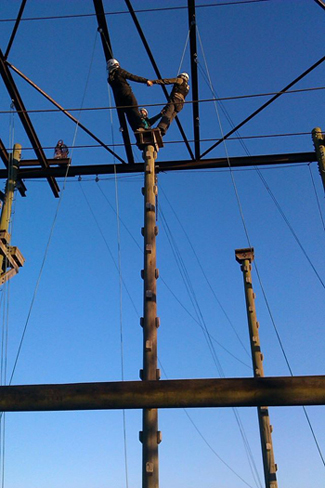 In September 2016 she became the first female to be appointed as an ERCA Master Trainer to the ropes course industry. 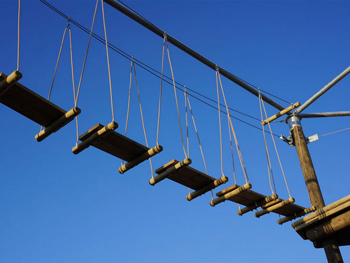 The ERCA Master Training Team is responsible for ensuring the quality of training for ropes courses and adventure parks across Europe. 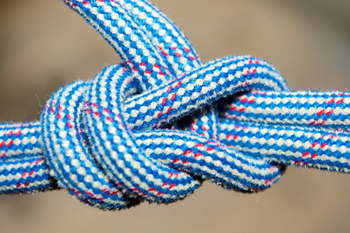 She will train the trainers who deliver instructor training to owners and operators of ropes courses across Europe. Not bad for a girl who grew up on a deprived council estate, left school at 15 and found her own way in the world. © Copyright 2017. Vertex Instructor Training is the trading name of Vertex Instructor Training Ltd. Registered in England & Wales. No.08918396. Registered Office at 56 Dorchester Road, Lytchett Matravers, Poole, BH16 6JE. Directors: S Woods, E Bell, H Bell.